The Garden Games Townsend croquet set is ideal for six players, as it contains 6 hardwood mallets with sturdy octagonal ash shafts. They are 38” long and feature leather bound handles ensuring perfect grip. The set also offers 6 durable 16oz composite balls and 6 wickets (4 white topped, 1 red topped and 1 blue topped).This beautiful and affordable set utilizes 1 hardwood mallet, 4 corner flags in different colours and 8 wooden yard markers. Additionally, it comes with 6 colourful plastic clips to match the equipment and is supplied with a 54cm (21.3”) hardwood winning post to satisfy all the croquet enthusiasts and provide ultimate playing pleasure. for submitting product information about Garden Games Townsend 6 Player Croquet Set We aim to answer all questions within 2-3 days. 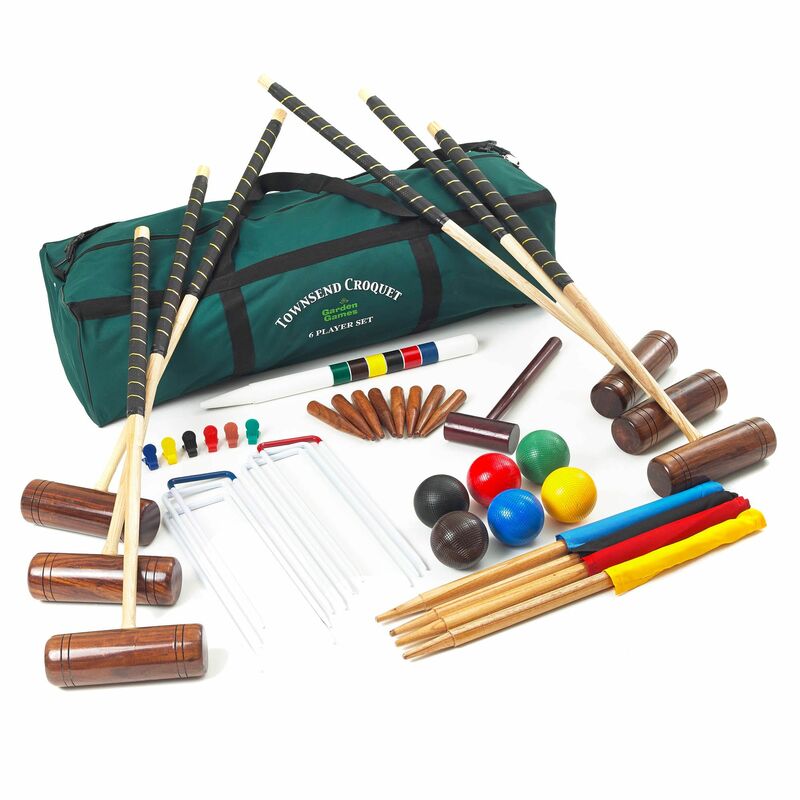 for submitting product information about Garden Games Townsend 6 Player Croquet Set. We aim to answer all questions within 2-3 days. If you provided your name and email address, we will email you as soon as the answer is published. 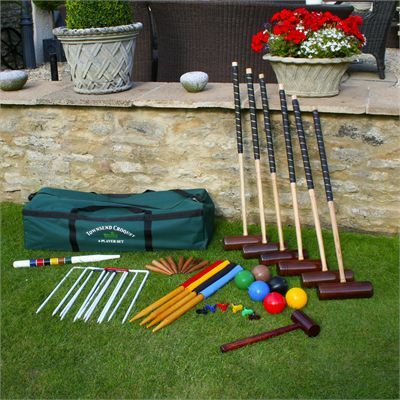 for submitting product review about Garden Games Townsend 6 Player Croquet Set.